While driving under the influence (DUI) charges may be common, they are certainly nothing to face without the help of a skilled attorney. 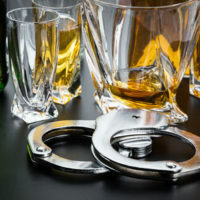 And, of course, more than one type of DUI charge exists in Virginia; in fact, the following outlines six common DUI and alcohol-related laws enforced in the state. Under Code of Virginia Section 18.2-323.1, it is unlawful to drive a car or operate other vehicles with an open container of alcohol. If police officers observe such an open container within the passenger area — defined as the area within the driver’s reach — then the driver may be charged with a DUI. In most cases, the penalty for this offense is a Class 1 misdemeanor. The potential penalties include up to 12 months in jail and $250 to $2,500 in fines. If a driver commits a DUI offense with a minor passenger — aged 17 years or less — then there are heightened penalties under Code of Virginia Section 18.2-270. A single conviction for this offense generally results in a mandatory jail sentence of five days and up to $1,000 in fines. A second conviction for this offense generally results in 80 hours of community service in addition to all of the standard penalties. Under Code of Virginia Section 15.2-1716, a DUI offender may be required to pay restitution for the costs of their offense. This restitution relates to the governmental cost of responding to the DUI offense, including but not limited to law enforcement, paramedics, firefighters, and other first responders. Although local ordinances vary greatly across Virginia, state law sets $1,000 as the maximum amount of restitution in these situations. The local government is allowed to bill the DUI offender a flat rate of $350 or provide a minute-by-minute accounting of all relevant and reasonable costs. In most cases, a conviction for DUI results in driver’s license suspension or revocation. If the offender drives a car on a suspended or revoked license, then they may face vehicle impoundment or immobilization under Code of Virginia Section 46.2-301.1. Upon arrest for driving a suspended or revoked license, the offender may face 90 days of vehicle impoundment or immobilization. Upon conviction, the offender may face another impoundment or immobilization period for an additional 90 days. Moreover, the offender is responsible for paying all costs associated with vehicle impoundment or immobilization. Under Code of Virginia Section 18.2-285, it is illegal to hunt with firearms, crossbows, and similar weapons while intoxicated. It does not matter if the hunter is intoxicated from alcohol, drugs, or a combination of both. A violation of this section results in a Class 1 misdemeanor with similar penalties as outlined previously. Under Code of Virginia Section 29.1-738, it is illegal to operate boats, vessels, and other watercraft while intoxicated. It does not matter if the boater is intoxicated from alcohol, drugs, or a combination of both. A violation of this section results in a Class 1 misdemeanor with similar penalties as outlined previously. If you are facing criminal charges for DUI or related offenses in Virginia, it is beneficial to retain the services of an adept criminal defense attorney. The attorneys at Simms Showers LLP, servicing Leesburg, Winchester, Fairfax, and Manassas, know how to defend against DUI and related offenses in Virginia. If you need legal help with criminal defense, contact us today for a free initial consultation.